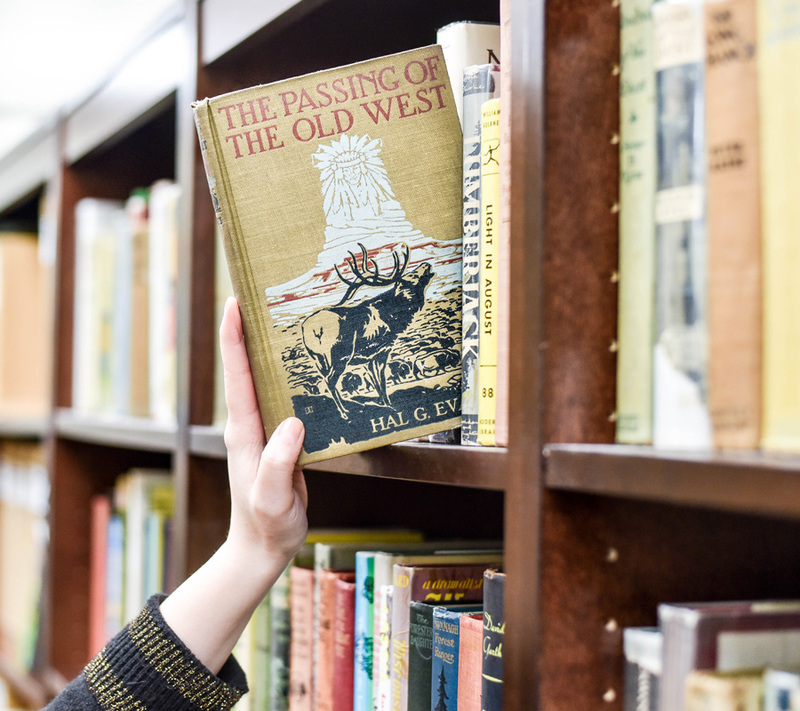 The Forest History Society's Library Program, named in honor of FHS Fellow Carl Augustus Weyerhaeuser (1901-1996), enhances the operation of other core programs in research, publication, and educational outreach. Our library collections contain a treasure trove of published information on our forest heritage. Rich resources and skilled staff make our Library Program unique in the fields of forest, conservation, and environmental history. The Library serves everyone interested in the history of relationships among forests, natural resources, and people. Publishers, editors, journalists, and authors are frequent patrons, as are faculty and students from universities across the nation and around the world. The library holds more than 10,000 books and receives more than 200 periodicals. The library maintains vertical files of annual reports, newsletters, and similar publications sent by companies, agencies, and organizations that fill 77 file drawers. Our collection of subject file materials requires 180 feet of shelving. 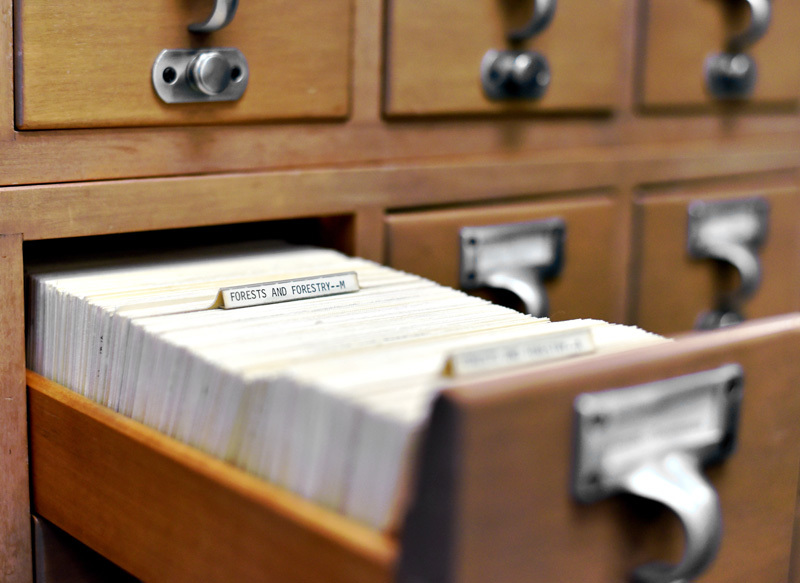 Specialized atlases and a map collection filling three file drawers illustrate federal and private land holdings, forest cover and type, ecological relationships, and land use. Forty-seven manuscript boxes house newspaper clippings collected by the U.S. Forest Service from the 1880s to the 1920s that demonstrate issues of public concern. The library's reference section includes directories of conservation groups, industry organizations, and public agencies; bibliographies and guides to archival records; and specialized encyclopedias, dictionaries, and handbooks. A collection of nearly 400 works of fiction published from the late 19th century through the present with settings and story lines focusing on forested environments in the United States or Canada. Subjects featured include: lumbering, forest fires, the U.S. Forest Service, and conservation issues such as clearcutting and grazing. A catalog of the collection is searchable online. The library maintains a collection of over 30,000 photographs, slides, plates, and films indexed by subject showing early lumbering techniques, foresters at work, and policy makers in debate. The Society's ambitious oral history program since the 1950s has yielded tapes and transcripts of more than 250 interviews that capture the experiences of public and private forestry leaders. Throughout its history, FHS has compiled two primary reference databases: (1) the Environmental History Bibliography holds more than 40,000 annotated citations to books, articles, and dissertations written in the broad field of environmental history; and (2) the Guide to Environmental History Archival Collections describes over 7,000 groups of archival records held by 450 repositories throughout North America. Both databases are now part of the Research Portal. A reference collection featuring historical materials amassed since the early 20th century by U.S. Forest Service employees. Includes copies of correspondence, memoranda, legislation, books, periodicals, articles, pamphlets, and photographs. A USFS Collection Database is searchable online. The library regularly provides reference services Monday through Friday, 8:00 a.m. - 5:00 p.m. Eastern Time, however appointments are strongly recommended. For further information, contact: Library, Forest History Society, 2925 Academy Road, Durham, North Carolina, 27705; telephone 919-682-9319; or email librarian Jason Howard. To support scholars conducting in-depth research in the Society's archival and library collections, the Society awards a number of Alfred D. Bell Travel Grants each year.